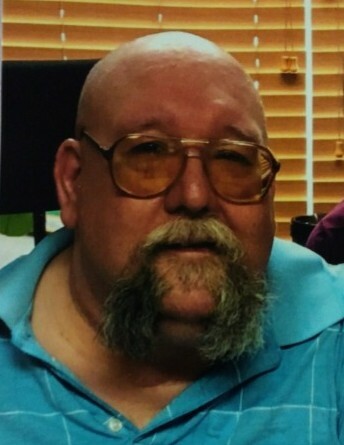 Scott O. Okerman, age 59, of Little Falls passed away Thursday, September 13, 2018 at St. Otto’s Care Center in Little Falls. Funeral Service will be 11:00 AM Tuesday, September 18, 2018 at Little Falls Alliance Church in Little Falls with Pastor Phil Ronzheimer officiating. Visitation will be from 4:00 – 8:00 PM Monday, September 17, 2018 at Emblom Brenny Funeral Service in Little Falls and one hour prior to services at the church on Tuesday. Scott was born January 28, 1959 to William and Fairymae (Blackowiak) Okerman in Little Falls. After graduating high school, Scott worked at several places and finished his career at Crestliner where he worked for 14 years. Scott married Deanna Anderson in 1981 and had three children together, they later divorced. Scott loved fishing, hunting, camping and crafting. He was an avid outdoorsman, enjoying doing almost anything outdoors. Scott was an outgoing person who loved people. He was a true example of how to live life. Scott had a strong faith and a positive outlook on life. He loved spending time with his family, especially his grandchildren. Left to cherish his memory are his mom, Fairymae of Little Falls; children, Eric (Heather) of Little Falls, Nate (Jaylei) of Iowa, Chris of Little Falls; siblings, Danny (Dee), Ricki (Julie), Becki all of Little Falls; special friend, Steve (Michelle) Backowski of Little Falls; grandchildren, Cassidy, Skylar, Wyatt, Tali, Axel, Morgan, Mayzie and Logan; godparents and many nieces and nephews. Scott was preceded in death by his father, William. Scott’s family would like to give a special thank you to one of Scott’s favorite aides at St. Otto’s Care Center, Kim Erdrich. Thank you for the love and care you have shown to Scott.